As Jennifer Lopez cuts sugar and carbs for 10 days, what are the potential side effects? Jennifer Lopez and Alex Rodriguez might be a world-class performer and ex-baseball player respectively, but even they can find healthy eating challenges tough. 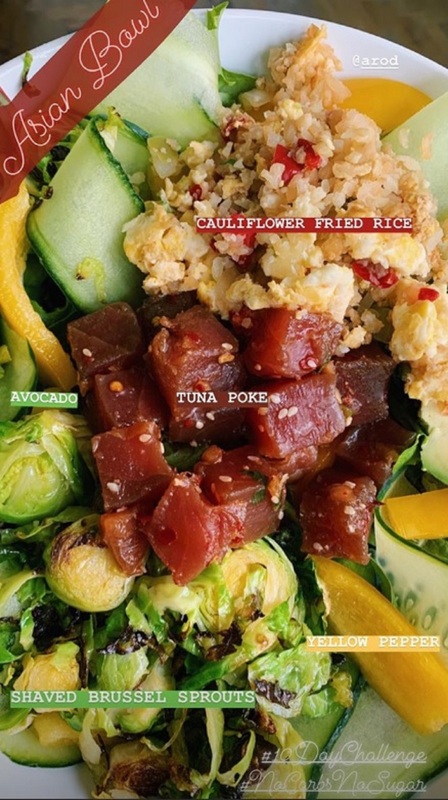 However, by day four JLo writes she’s feeling “a lil better” and has been sharing snaps of her meals – including a colourful bowl of tuna poke, cauliflower fried rice, peppers and Brussels sprouts. Cutting out all kinds of carbs and sugar can’t be an easy feat, even for people who undoubtedly have iron willpower – you don’t get to the professional levels of this celeb couple without a whole lot of drive. The question is: Other than weightloss, what else can you expect from a challenge like this? We spoke to some medical experts to get the low-down on the potential side-effects of a no-sugar and no-carb diet. You have to be extra cautious with your veggie intake, and Brewer recommends taking a fibre-supplement if necessary as well as making sure you drink plenty of water to avoid constipation. The first few days of this kind of diet can potentially be quite rough – which is what JLo and A-Rod seem to have been experiencing. “Some people get withdrawal symptoms when cutting back on sugar, wheat and other carbohydrate-rich foods. This can lead to fatigue, faintness or headache. These symptoms usually disappear within three days,” Brewer explains. Once again, the best way to minimise these symptoms is by drinking plenty of fluids. Such a diet is on the extreme side, so you will probably start losing weight on it. “Leg cramps can occur due to loss of minerals as you lose fluid when the weight starts coming off,” explains Brewer. Her advice? “Take supplements containing potassium, magnesium and calcium in addition to the recommended multivitamin.” And yes, you guessed it – drink lots of water. Notice a trend here? JLo has always been a professional hero of mine. Self-made, disciplined, hard-working and healthy. So I’m going to try the #JLoChallenge. 10 days no sugar, grains, starchy vegggies, artificial sweeteners. These are just potential symptoms you should be aware of – they won’t definitely happen to you if you do a similar challenge to JLo and A-Rod. Registered nutritionist at Healthspan Rob Hobson thinks this kind of eating plan is basically like the keto diet, which “can be a useful and effective short-term solution to shifting the pounds”. He continues: “It could be a good kick-start, to follow with a healthy and more balanced eating plan” – which seems to be what Lopez and Rodriguez are doing with their 10 day challenge.